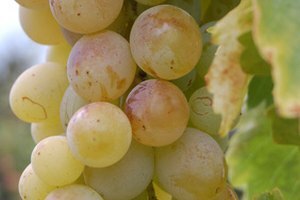 Caberent sauvignon is one of the best known and most popular grape varietals for winemaking. 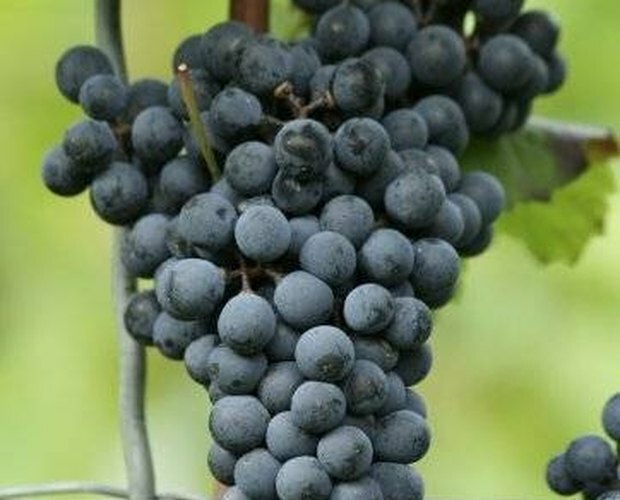 Less well-known is its parent grape, Cabernet Franc. The flavor of these two grapes make them popular with small as well as large-scale winemakers, and the process of making a good homemade cabernet requires, in particular, that the wine's affinity for oak flavoring be taken into consideration. Rinse the cabernet grapes gently in tap water. A garden hose is fine for this purpose. Stem the grapes. It is only necessary to cut away the big, central part of the stem. Leaving the little twig-like bits is OK.
Make grape juice by crushing the grapes. A small producer might not be able to afford a machine for this, but the old fashioned method of taking off your shoes and stomping them in a vat is still widely used around the world. Pour out "must," or collection of grape juice, skins, and stem twigs, into the vats for primary fermentation. 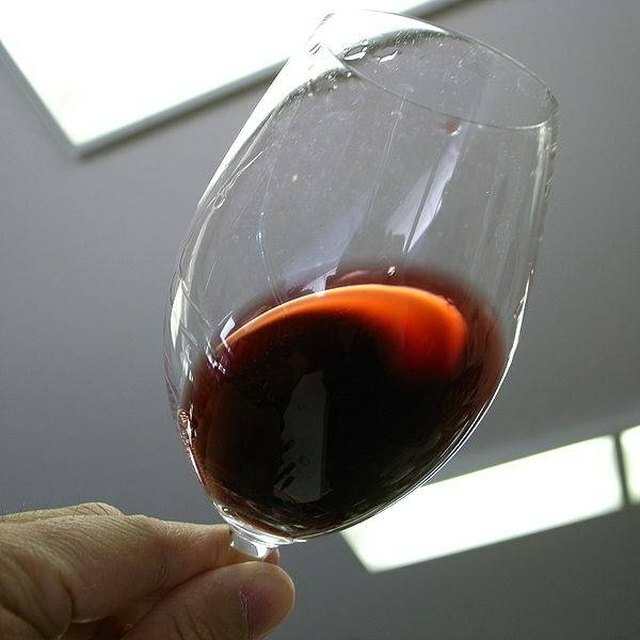 Do not remove any of the skins: for a red wine like a cabernet sauvignon or cabenet franc, the skins are critically important to the first stage of fermentation. Test the must for acidity (pH) and sugar content (Brix) using your testing kit. Use the results to determine if more sugar needs to go into the must. 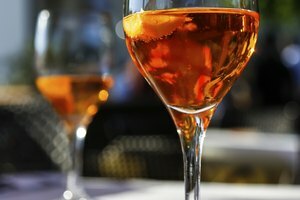 A Brix rating of less than 20 means there isn't enough sugar to make for a strong wine with an alcohol content of above 12 percent, and fermentation will fail. An easy rule is to add 1 pound of ordinary sugar per gallon of must for every 2 points below 20 in Brix score. So, a full 15 gallon vat with a very unsweet score of 14 will need a whopping 45 pounds of sugar to bring it up to requirements. Use the test results to decide how many sulfite Campden tablets to put into the must. This kills undesirable microorganisms. For example, if the pH score is between 3.3 and 3.5, you will need to drop in a full tablet for every gallon of must. Put the lids on your vats of prepared must, and leave them alone until the next day. The Campden tablets need at least 24 hours to work before the must is ready for the addition of yeast. Put your winemaker's yeast into the cabernet must. Cover the vats back up and let them ferment. You will need to tend to the vats of must by coming back twice a day and giving them a good stirring with a wooden plank or paddle, to break up and push down the "cap" of floating debris and foam. Let this process continue for one full week. Take the vats and pour out the contents through a strainer and into other empty vats to remove the grape skins and stem twigs. What you have is now called young, new, or "green" wine. Test the wine's acidity again. You need a score of less than 7 parts per tartic (p.p.t.) before you can go on to racking the wine for secondary fermentation and aging. There are three additives for getting the acidity down: dilution with spring water; putting in potassium bicarbonate; or putting in calicum carbonate. The spring water is the cheapest, but least desirable. 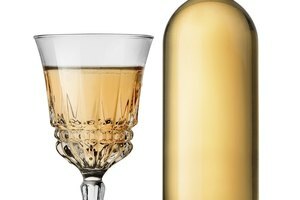 For a home winemaker, the goal is to get the acidity down, so simply put the chosen additive in until the test results are good. Put the green cabernet wine into vessels for aging. You can do this either with a siphon hose or a funnel. Cabernets have a very strong affinity for oak, but a lot of home winemakers cannot afford oak barrels. The substitute is to use 5-gallon glass carboys with 2-3 handfuls of oak chips dropped in the bottom. Cap each barrel or carboy with a fermentation lock, and let them sit in a cool, dark cellar for three weeks. Top off the vessels to compensate for settling after three weeks of secondary fermentation. The best way to do this is to take the least full vessel, and drain it with a siphon hose to fill up the others. Add a spoonful of sulfite to each vessel to kill any microorganisms that got in during this procedure, and cap each vessel with an airlock. Decide what to do with the leftover wine from the vessel you chose to for topping-off in Step 3. If there is a good quantity of wine, transfer the remainder to a smaller container if you have one. Otherwise discard it. Aging wine in a barrel or carboy with a lot of air will ruin the wine (it will turn into vinegar). Let the wine age in the cellar for a further 4 to 6 months before bottling it. The typical bottle of wine has juice from between 500 and 750 grapes in it, or about 2.75 pounds of grapes. A ton of grapes can yield roughly 60 bottles of wine. 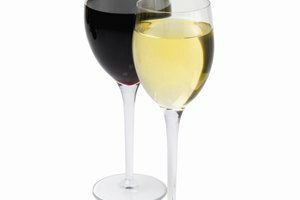 Those who want to try home winemaking, but do not have access to a vineyard, can purchase varietal concentrates instead. These are available at or through many winemaking supply shops. Skip directly to Stage 2: Primary Fermentation when using only juice concentrate.